The Minnesota Conference has a group subscription to the online demographic research and report service MissionInsite. This tool provides unlimited access to a wealth of information about the mission field surrounding individual churches within our conference (including data and projections related to age, education, socioeconomic status, lifestyle, and marketing preferences of people within a specific geographic area). Standardized and customizable reports are available to all United Methodist churches in Minnesota. Interpretive tools are also provided for applying data to mission field identification and ministry plan development. The conference maintains this subscription so that there is no fee to churches for this service. For help using this tool or to request a customized report, contact Gail Johnson, congregational development associate, (612) 230-6125. 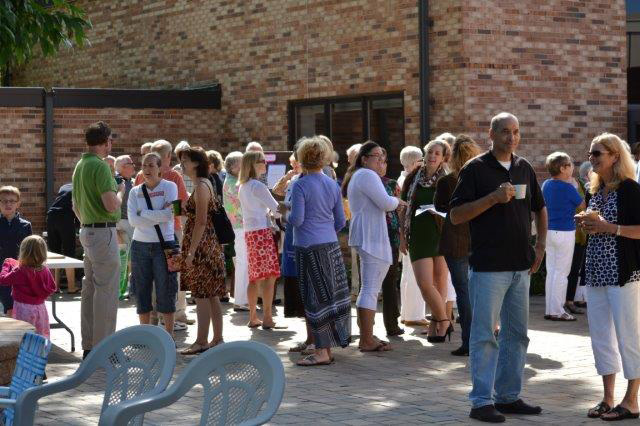 Natural Church Development (NCD) provides surveys for 30 members of your congregation. The results are tabulated and you receive two reports detailing the strengths and vulnerabilities of your congregation. This information can help you focus your efforts for growth. To understand a minimum factor: Imagine a barrel with eight staves, each stave representing one of the eight quality principles. The staves in the barrel only reach as high as the score of the characteristics, so you can only fill the barrel to the level of the lowest stave. To increase the capacity of the barrel, we must increase the height of the lowest stave. Focusing on the minimum factor doesn’t mean that we don’t pay attention to the other seven areas, but it helps to set timely priorities. Since all eight areas can’t be worked on with the same amount of energy and concentration, we focus on the areas that will yield the greatest long-range return on investment. Churches submit a wide variety of data each year—including numbers related to small groups, worship attendance, mission giving, volunteer service, and new professions of faith. Using the data that every church submits each year via Tables I, II, and III reporting, the Office of Congregational Development can generate reports showing activity for previous years and projecting possible outcomes based on trends. To request a customized report, contact Gail Johnson, congregational development associate, (612) 230-6125. ChurchFuture: Consultant David Raymond consults with churches on a wide variety of matters, including how to become more visitor-friendly. Contact him at (612) 823-0526.